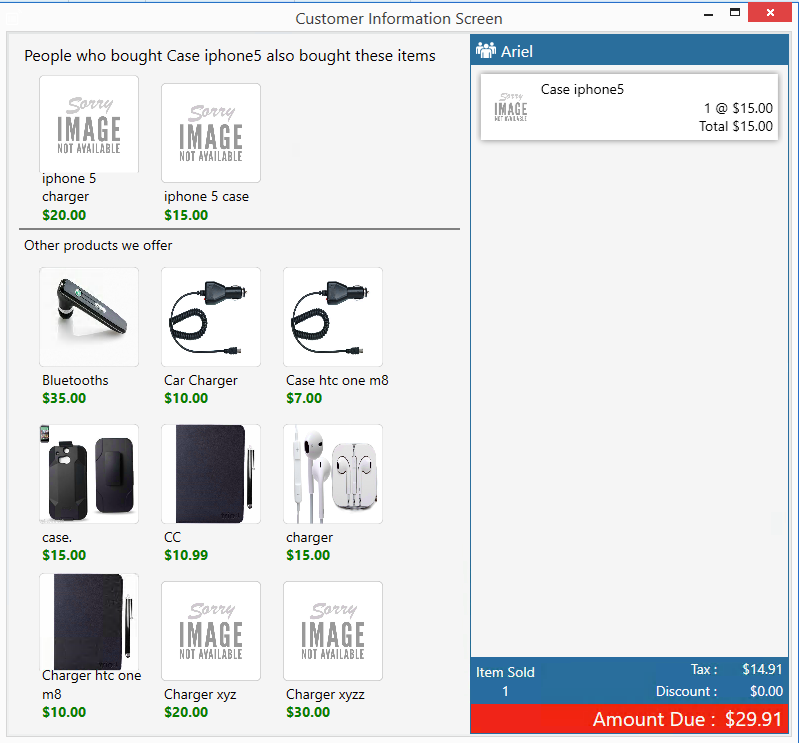 The customer sale screen provides you with a window that will continuously display the products you currently have within your inventory. At the time of a transaction, the customer facing screen provides the customer with a way to view what is currently in their invoice, along with the total amount that is due and a grid with other products they may want to buy. This feature requires a second monitor to be connected to your computer and this monitor should be facing the customer. Admin Tools -> General Settings -> Option -> Enable Customer Sale Screen. Once this feature is enabled you will be able to press the "Launch Sale Screen" button. This will open the Customer Sale Screen.